The science of what drugs are and how they work lets us quantify and compare the harms caused by different drugs. With this information we can radically transform drugs law, and hugely reduce crime and all the other social, economic and health harms currently caused by drugs. The book is written in plain English. It is intended for people who take drugs, and those dealing with the harms drugs cause: parents, teachers, doctors, politicians, social workers and law enforcement agencies. - It explains what drugs are, how they work, and how people become addicted. - How harmful are alcohol and tobacco compared to illegal drugs? - Does the 'War on Drugs' cause more harm than good? How does it affect legitimate scientific research into potentially valuable therapies? - What should you tell your children about drugs, and at what age? Superb book a must read for anyone with an opinion on drugs. 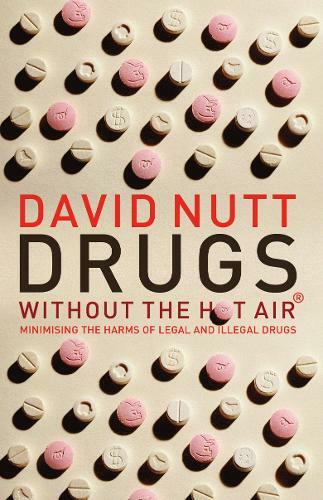 Like most people, I was aware of David Nutt because he was sacked for airing views based on evidence rather than politics-based hysteria, so I was interested in what he had to say.